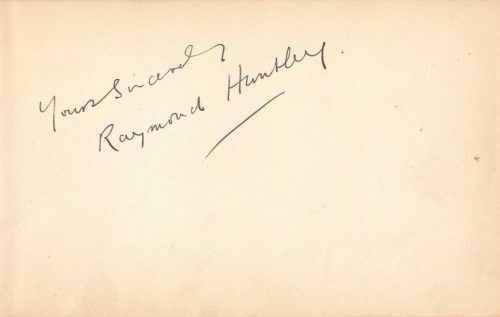 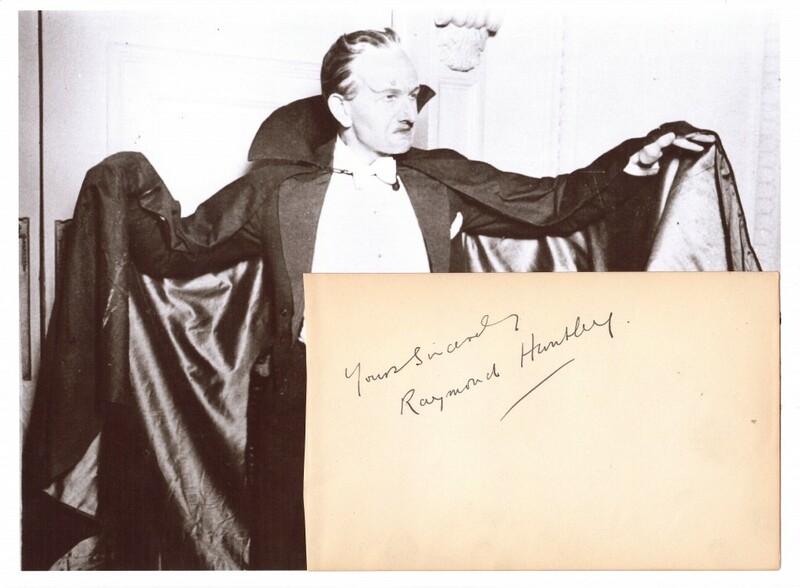 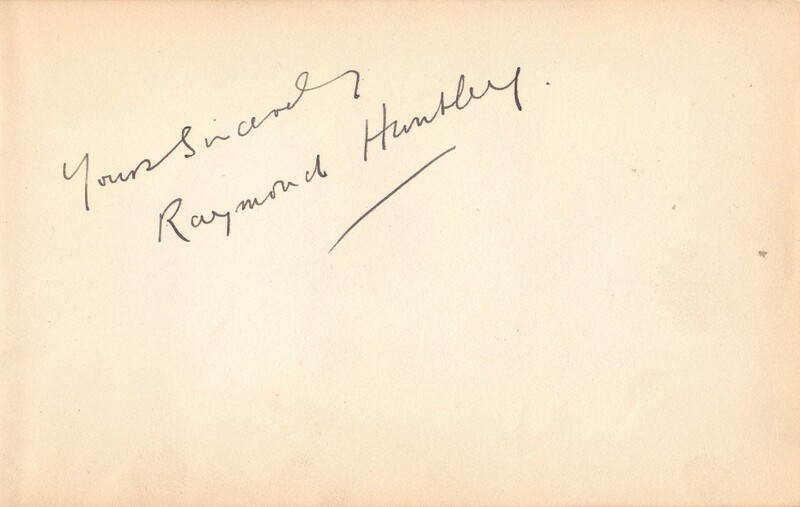 RAYMOND HUNTLEY (1904 – 1990) signed 3½”x 6″ 1930s album page in black fountain pen ink. 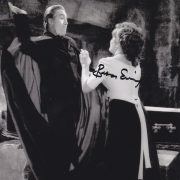 He was one of the first actors to play Dracula on stage in the UK (from 1926) and in the USA. 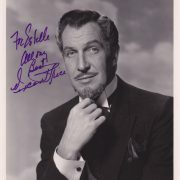 He also appeared as Joseph Whemple in The Mummy (Hammer 1959) and in many other films and tv-series.